This weekend, I finally took some time to breathe. 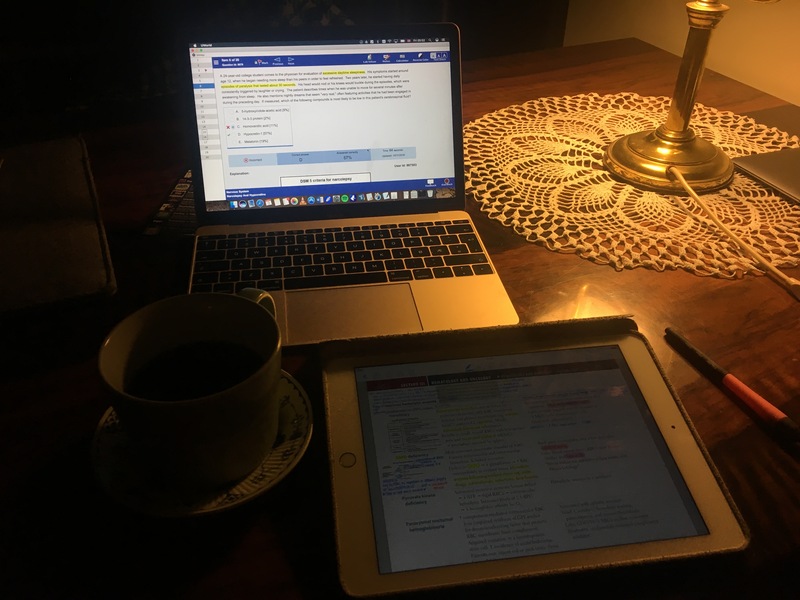 Since I last wrote, I’ve been busy studying for Step 1 of the USMLE (which I’ve been planning to take in June), studying for my classes and enjoying some time with friends and family. 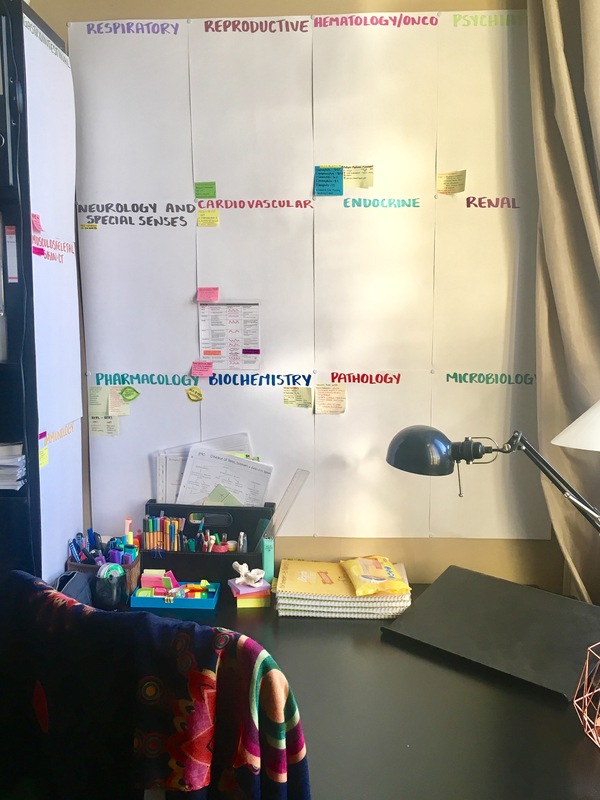 Step 1 requires many, many months of dedicated studying and trying to manage that in addition to my normal “life” load has been really difficult – and exhausting! I’ve been waking up every morning at 5:00 am to complete a block in UWorld (the quintessential question bank). After that I work out from 6:00-7:00, go to class and then come home to review my questions from that morning ands study. Each block is 40 questions and reviewing an entire block can take a really, really long time. Sometimes, I’ve even used up to 8 hours reviewing a single block! Each question comes with detailed theory pertaining to the correct answer, as well as information behind each wrong answer. In addition to doing my blocks each morning, I should be reviewing the various subjects. I had planned to cover at least one subject each week. Have I been able to do that? Nope! In the beginning of March, we visited Krakow with a group of friends. I kept my studying up during that time, but it was not easy! Waking up at 5:00 while everyone was still asleep for a least a couple more hours was…lonely and frustrating. Outside of that, the trip was amazing! The city has so much history and it was such a unique experience to visit Auschwitz. It’s really something I will never forget. After we arrived back in Budapest on Sunday evening, I only had a couple of days before my mom and brother arrived (from the US and Oslo, respectively). We haven’t been together – the three of us – in 4 years, so this was an extremely special trip for me. In the beginning of their visit, I tried to balance studying with family time. By that Friday, I gave in. This past month has shown me that I’m not going to be ready for the exam in June. I’m not planning on going back to the states in the immediate future and you can only take the exam one time, so I would rather push the date and take it when I am more prepared. It felt good to check out of my study world for a little bit and fully enjoy time with my family. They mean the world to me. Their visit was perfection. We tried out new restaurants in Budapest, including an AMAZING new one called Makery where you make your own dinner. You are supplied with prepared ingredients and a fully stocked workstation. Each person chooses their dishes (just like in a normal restaurant) and then follows step-by-step video instructions to make it. Such a cool concept! We also did some escape rooms, had a cocktail night with all of our friends and took a day and a half trip to Vienna. We even got to celebrate Christian’s 27th birthday on the day! Our friend Amir brought over a bunch of fresh goods from his favorite bakery, which we served alongside a collection of cakes we’d brought back with us from Aida in Vienna. Then we watched Chef (one of my favorite movies, which Christian had never seen before). After that it was shopping on Vaci utca, two escape rooms, drinks at a roof top bar close to the basilica and dinner at Iguana with Dushyant and Amir (including the dogs! My mom’s dog Romeo and our dog Baloo). My mom and Christian left on Thursday and I spent the rest of the day reviewing for Friday’s anatomy exams. Since I have my own group, I’m a main examiner during midterms. This means that I may be in charge of examining an entire group (other than my own). I like to vary my questions as much as possible, so I try to do a thorough review of all the topics before the exams. In addition to exam day, Friday was the day of Baloo’s surgeries – yes, surgeries! Technically, there was only one surgery with three parts, but when your dog weighs less than 1.5 kg (3.3 pounds) you worry a bit more! On top of being neutered, he had two baby teeth taken out (some of them have been a bit stubborn) and a suspicious lump on his head removed. Luckily, the lump turned out to be nothing more than a hair follicle that had grown inward! If any of you follow Dr. Pimple Popper, then you’ve seen these before. If you’re curious, check out this compilation video. I was so thankful for the distraction of examining students for the anatomy midterm during Baloo’s surgery. I was so nervous that something would go wrong! When Skjalg picked him up at 14:00, the vet told him him that everything went smoothy and there were no complications at all! Afterwards, he was a bit loopy, but by Saturday he was almost back to normal and even playing fetch! ​The only problem now is dealing with his cone. Because he is so small, the cone they had that fits him is really hard and narrow. He absolutely hates it. While it’s on he will stand in place for 10 minutes then get tired and try to lay down somewhere (but never really get comfortable). I slept on the floor with him the first night, since he can’t navigate the stairs leading up to the bed in the dark. Last night, we tried putting his jacket/harness thing on instead. He was able to sleep through the night, so hopefully that is enough of a “blocker” for any licking or scratching he might try. Otherwise, week 8 (already!!) of the semester starts tomorrow. I’m starting with new material for my students, which I will prepare tomorrow morning before my class at 12:00. We are in the middle of our forensics block, so I might start with preparing my notes for our final at the end of the semester. I’m considering October for Step 1, so I will start studying more for my current course load (I’ve ONLY been studying USMLE so far this semester). I’m going to have to sit down tomorrow and make a study plan for the rest of the semester. § 4 Responses to World, stop. How come you can only take the USMLE step 1 once? Cant you take it three times in a year? btw love your blog! Hi M! You are only allowed to retake it if you fail the first one (which isn’t an ideal situation in and of itself). So it is important to do well on the first attempt :). You are currently reading World, stop. at Buda-B.